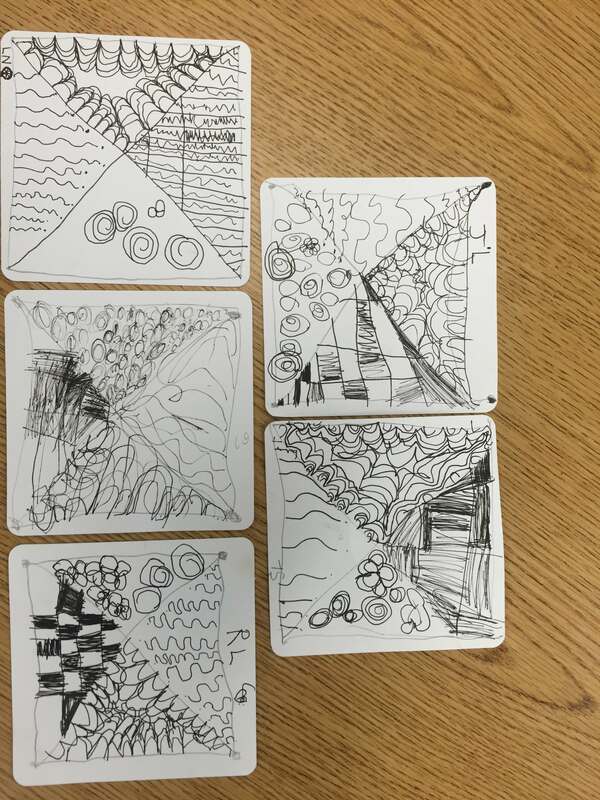 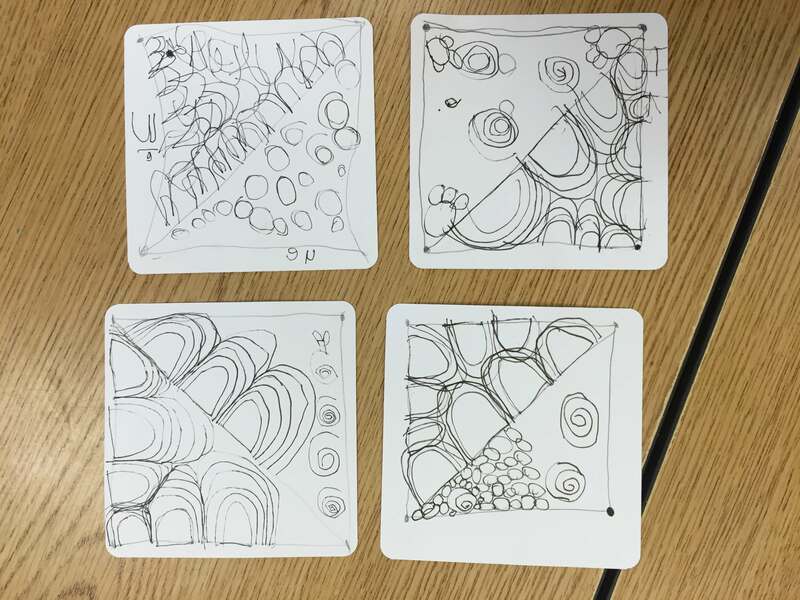 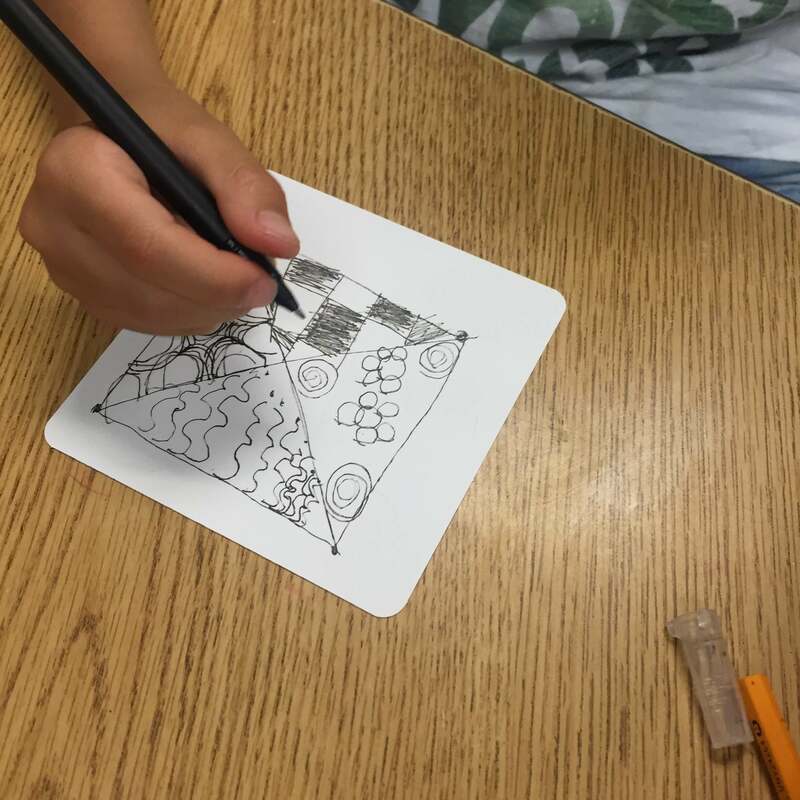 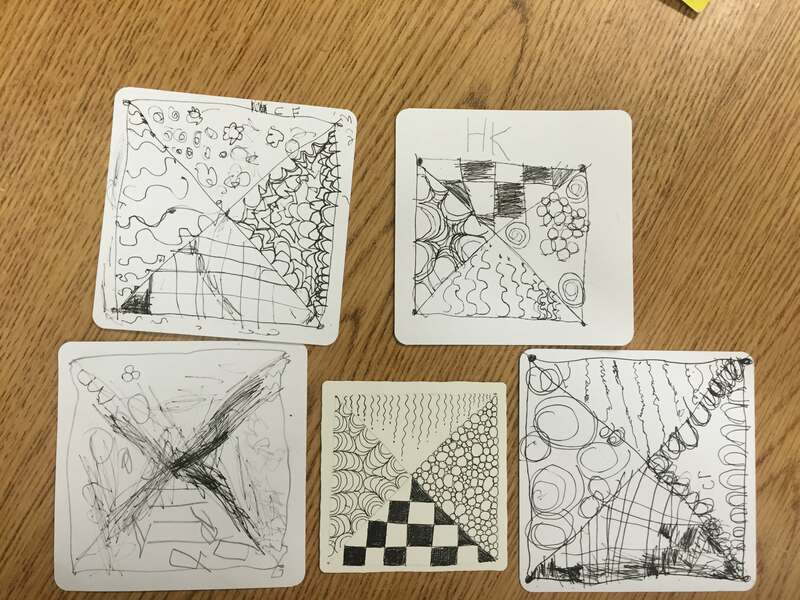 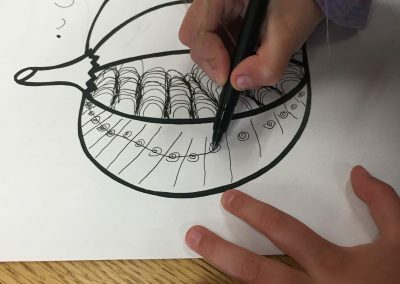 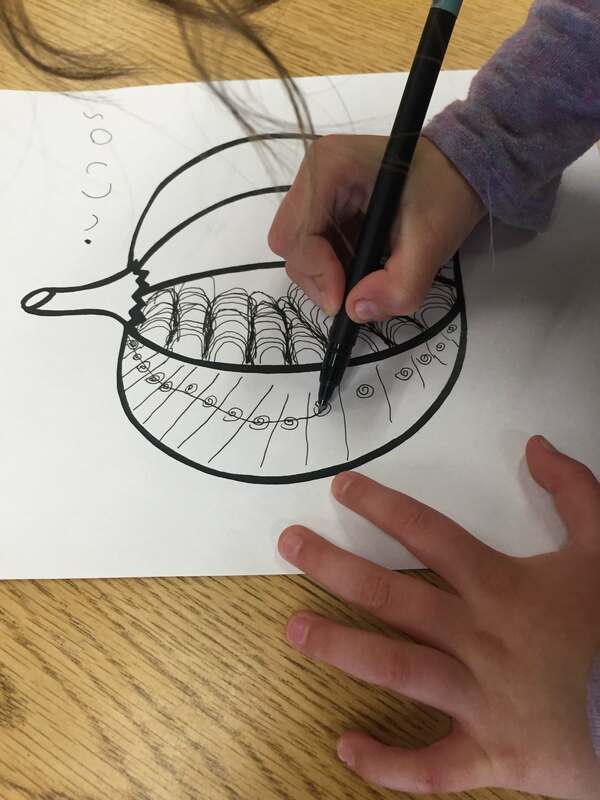 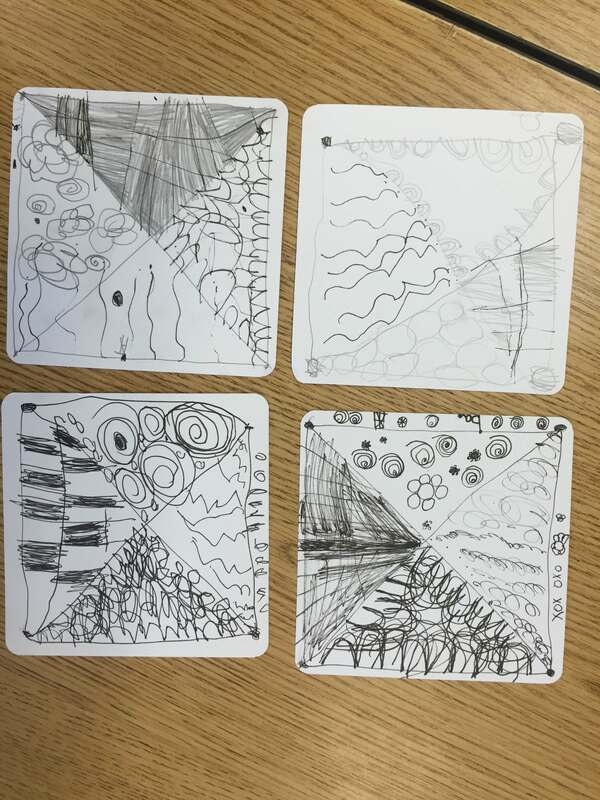 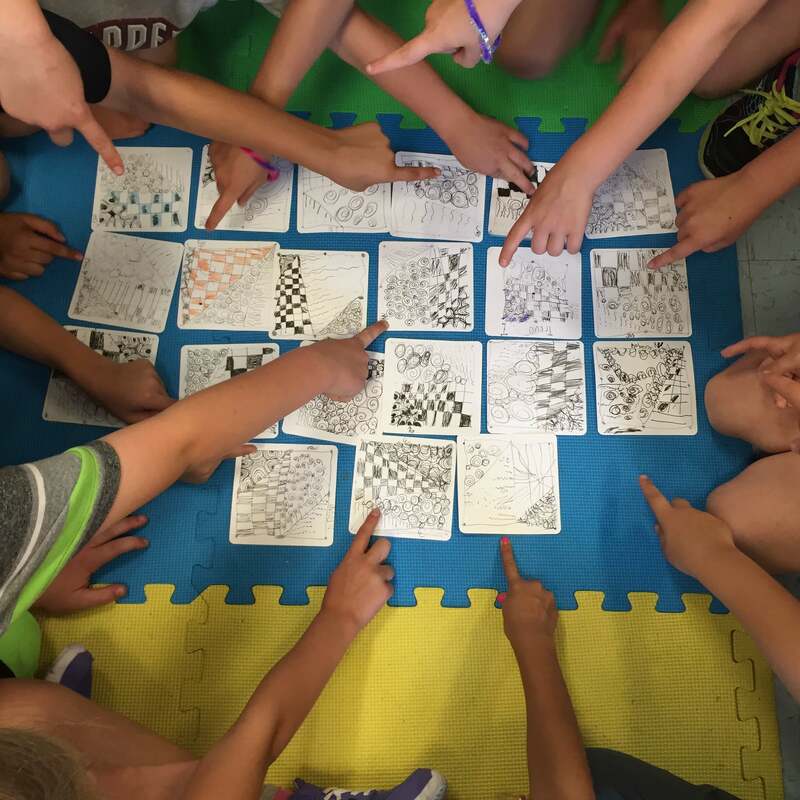 Zen kids at work, drawing structured patterns, one stroke at a time! 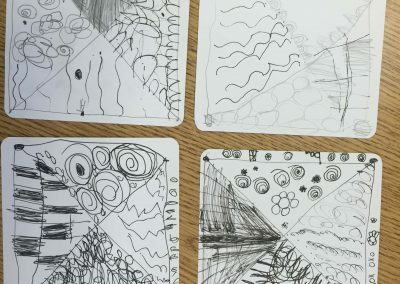 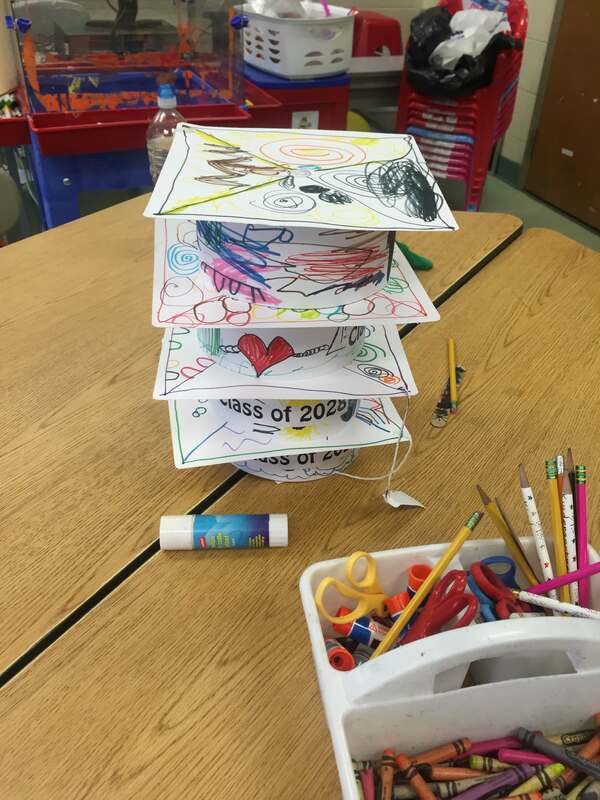 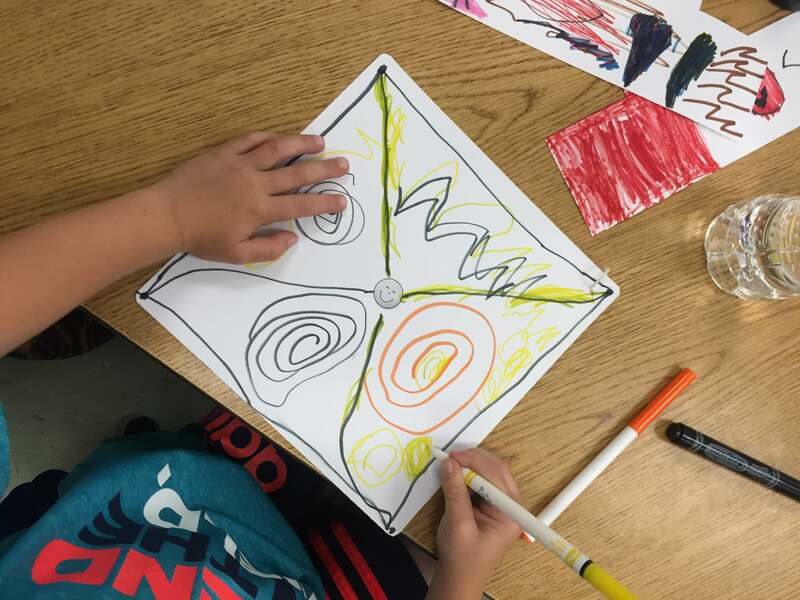 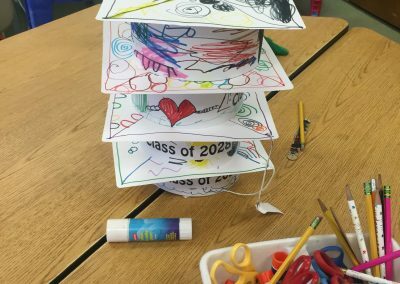 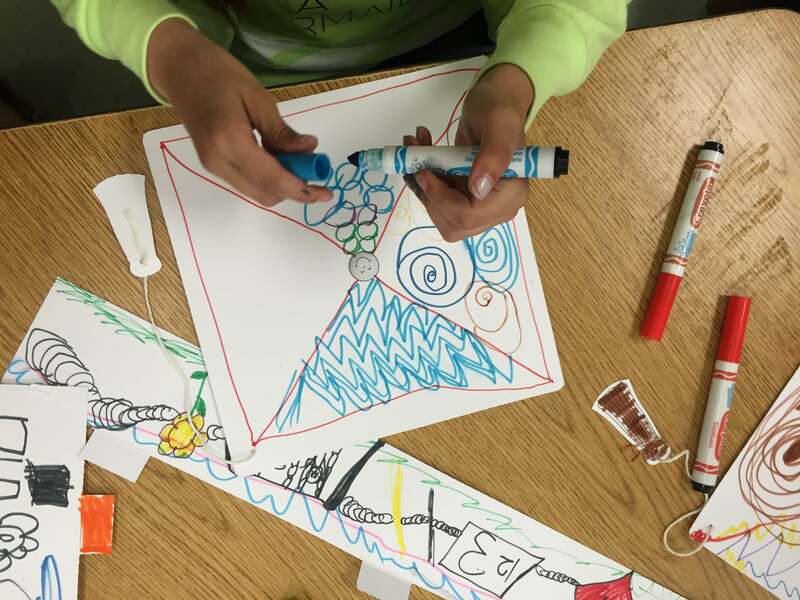 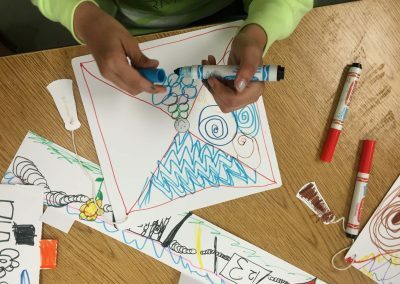 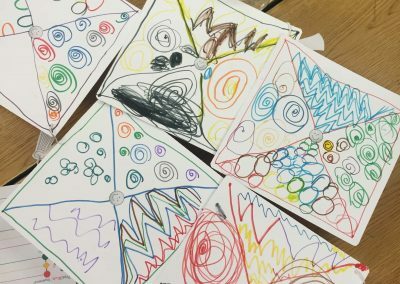 Kiddos as young as five in kindergarten enjoying creative time, seeing their own inner artist. 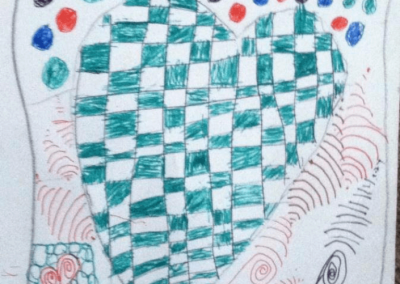 I can’t say enough about Cari Camarra. 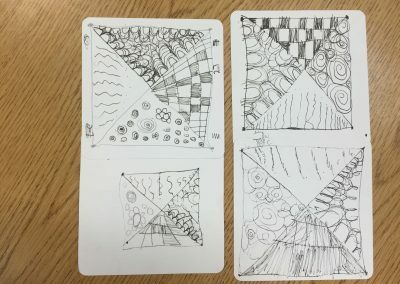 She is so kind, patient, talented, and creative. 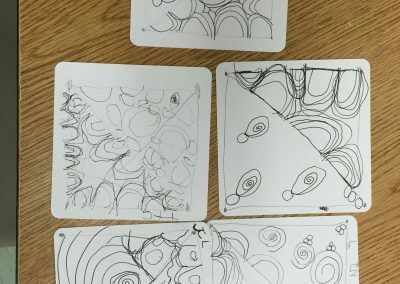 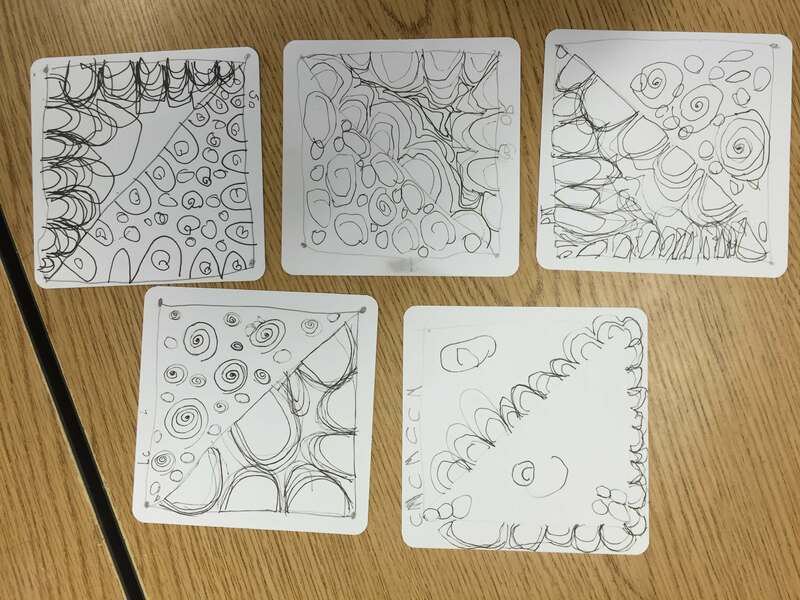 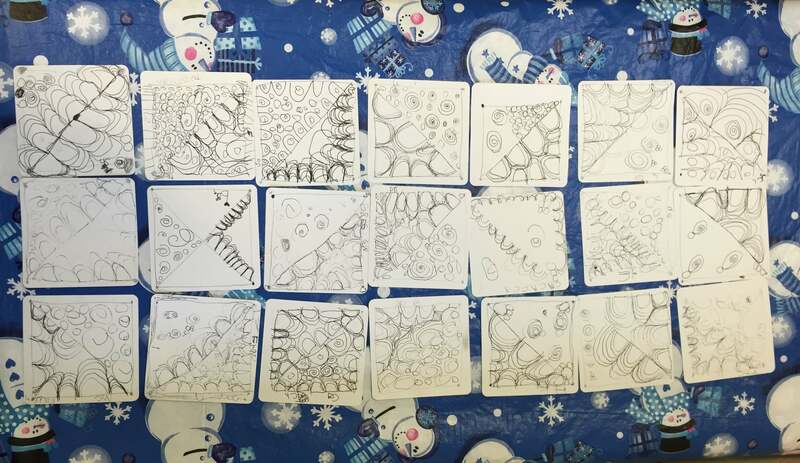 Cari introduced my family to Zentangle a few years ago, when my youngest son was in second grade. 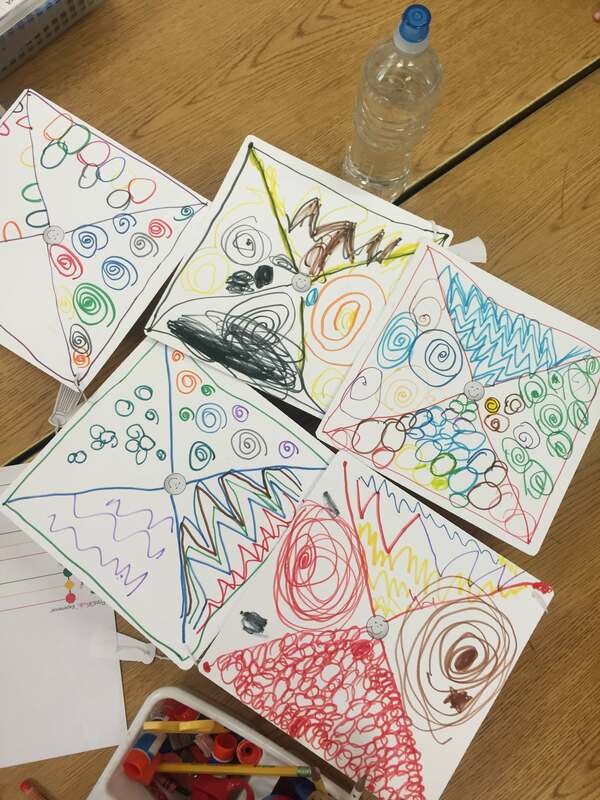 Cari was my son’s paraprofessional and before he met Cari he was extremely shy, low in confidence, and did not like art class or drawing. 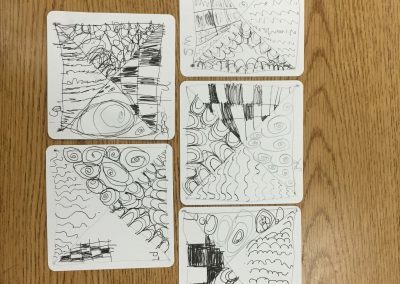 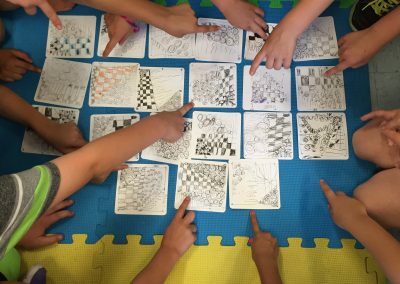 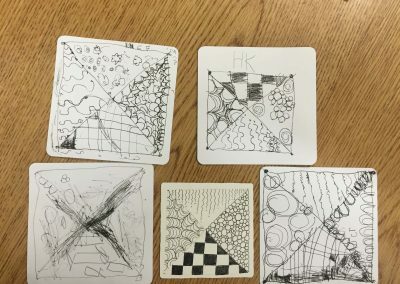 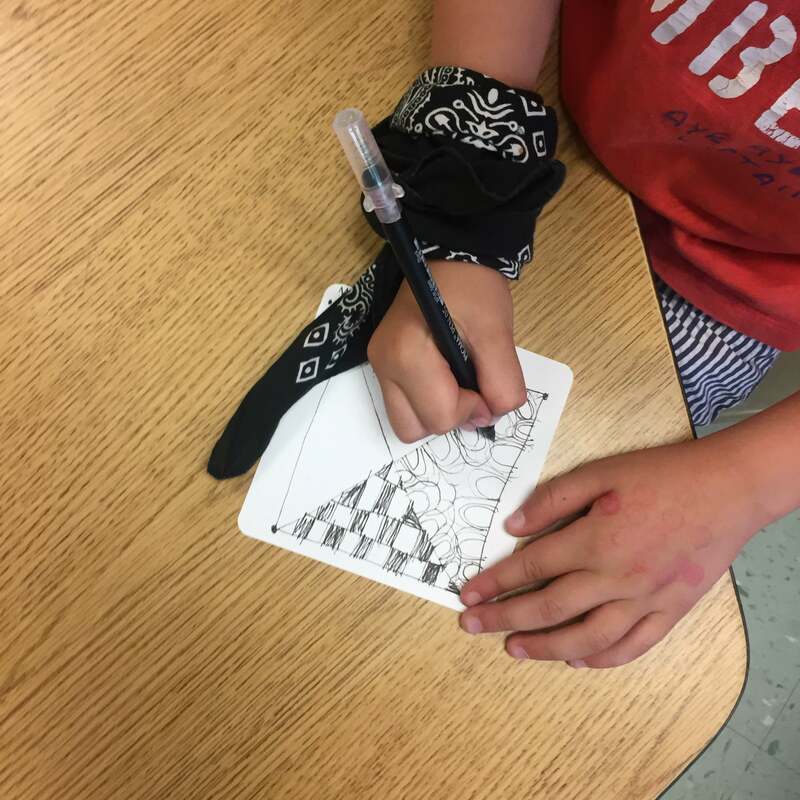 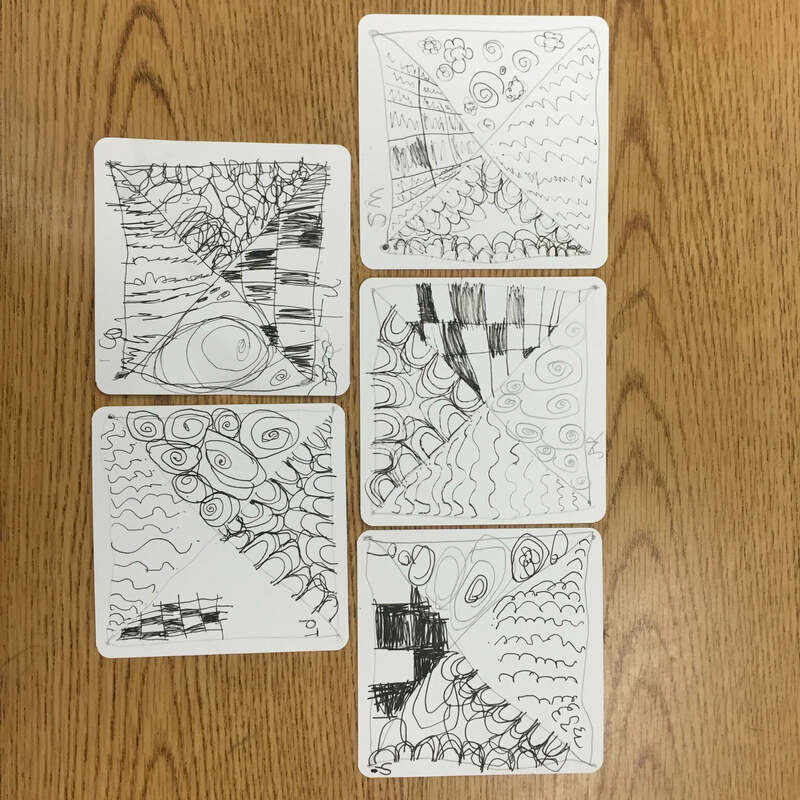 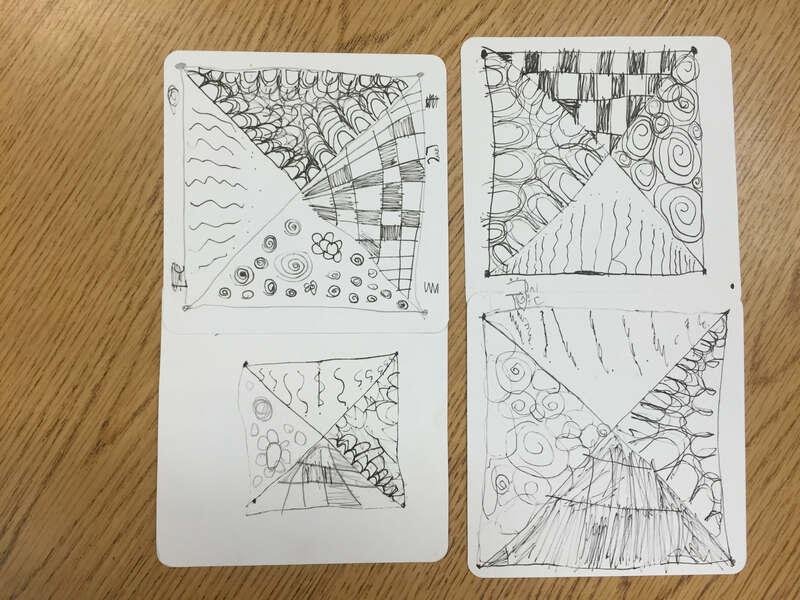 After a few weeks of working together, he transformed into a Zentangle expert. 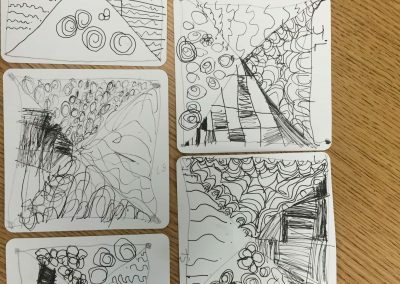 He was creating things so unique and beautiful. 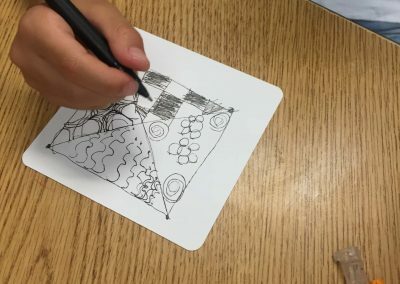 With Cari’s help, he gained confidence which made him more social, outgoing and a better student. 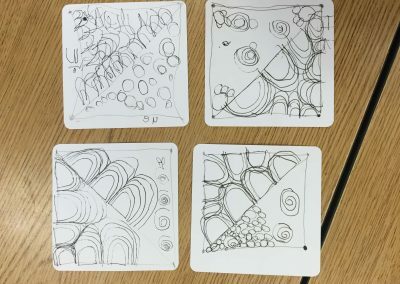 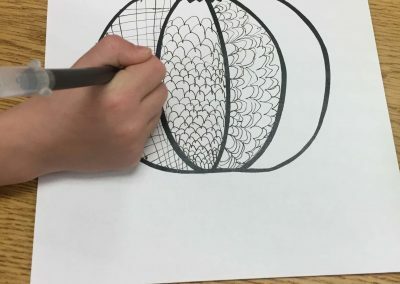 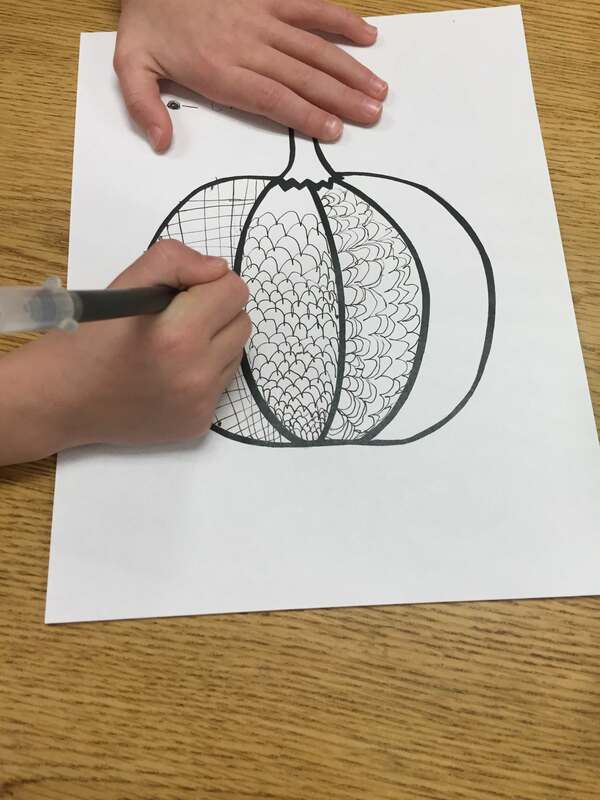 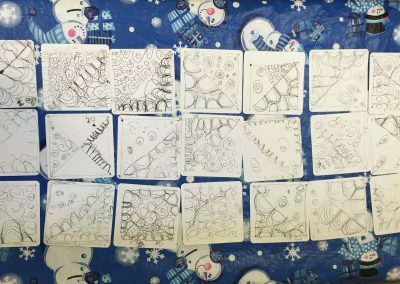 After a few weeks, he was teaching his older sister and brothers how to Zentangle. 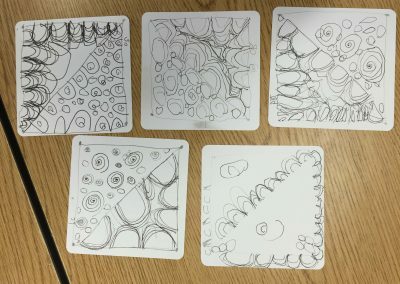 It was an amazing thing to watch and become a part of. 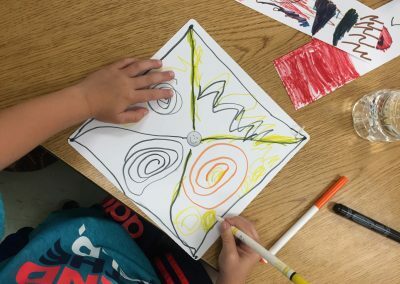 Cari not only found a way to connect with my son, she found a way to transform him into the artist he is today. 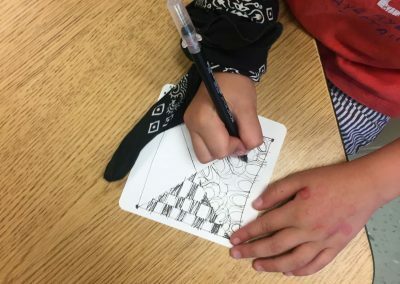 By thinking outside of the box, she showed us and others that with patience, the right tools, some positive reinforcement, and the right person guiding you everyone can accomplish great things. 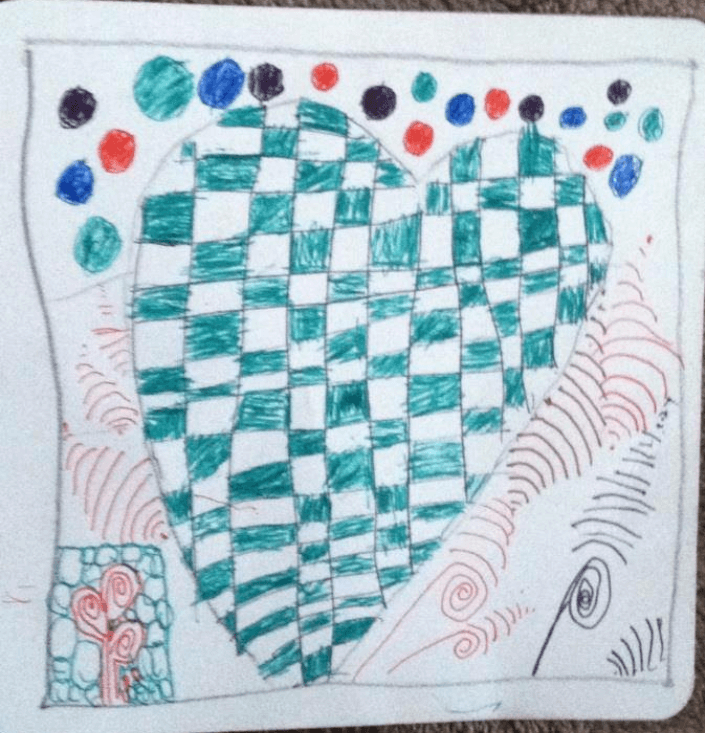 I am forever grateful to Cari and everything she has done for my son. 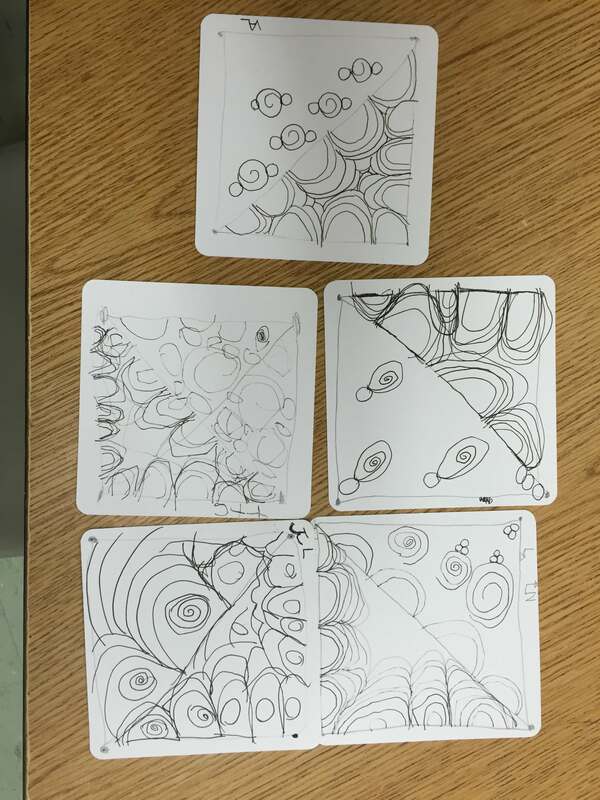 I highly recommend doing a Zentangle class with Cari, I know we can’t wait to take more classes!